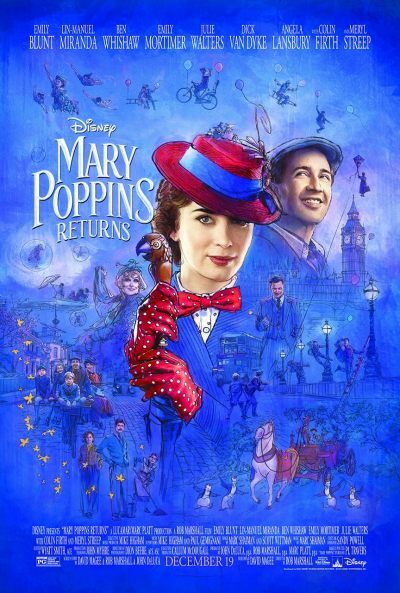 Mary Poppins Returns | Movie | Birth.Movies.Death. Otherwise charmingly insubstantial in every way. Beware Mary Poppins' magic bag. A spoonful of seawater helps the medicine go down. Heads Up: Our Live-Action Disney Commemorative Issue Is Now On Sale! And just look at that supercalifragilisticexpialidocious cover! Can Lin-Manuel Miranda fill the cowboy boots of Sam Elliott? The producers of the budding paramilitary franchise talk trilogy. The Mouse House is gonna kill the game again in 2018. Or, maybe WE'RE just telling you it'll be your new fave.